How to disable Cortana in Windows 10? 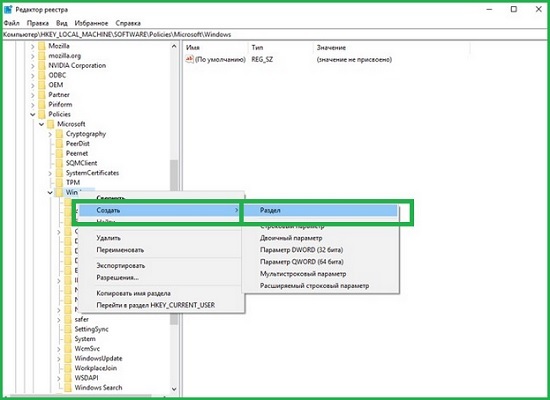 This method of disconnection will suit all users without exception, since it is: very simple, takes a minimum of time and at the same time, does not require the user to have knowledge in that area of ​​the PC, which he absolutely does not need. We also note that it works perfectly in any edition of Windows 10. What does turning off Cortana in Windows 10? Increased system performance. Even if you do not use a voice assistant, it works in any way in the “background” mode, which means that without stopping it absorbs the resources of your device. Turning off the application, the computer is less loaded and as a result, in some cases, it works much faster. Reducing the number of constantly running applications in the OS. This is also a very important point, since with active use of the device, the running application always interferes, because it periodically becomes active and has to be turned off again and again. No need to think what to say while working with the device. Of course, this may be strange, but in some cases, voice assistants do not recognize the user's speech correctly, or, by chance, run from the usual conversation of application users, which is also not entirely convenient. In this case, as in most of the tenth generation system settings, it all starts with the fact that you are accessing the Start menu and already through it, find the Registry Editor. 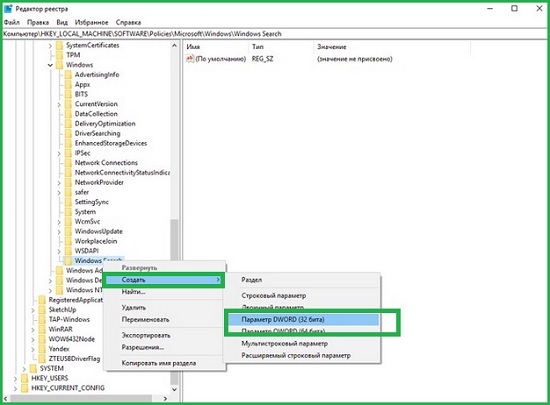 Search for the Registry Editor can also be performed using the regedit command. As soon as the “Registry Editor” becomes available to you, you hover your mouse over it and click RMB. Now, in a small window of the menu that opens, hover your mouse over "Run as administrator" and click on LMB. 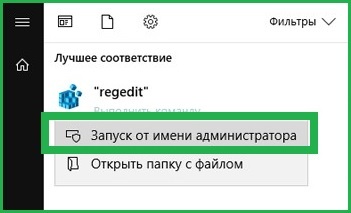 Everything, you got into the registry editor and already here, your main task is to switch from one folder to another, in order to get to the final section "Windows". The path you must follow is “HKEY_LOCAL_MACHINE”, then “SOFTWARE”, then “Policies” and the final pair of transitions from “Microsoft” to “Windows”. According to the idea, the Windows folder should have the Windows Search section in its depths, but it is possible that this section will not exist and you will have to create it yourself. The creation will look like a click on the “Windows” section and select in the menu two options to the action: “Create” and “Section”. 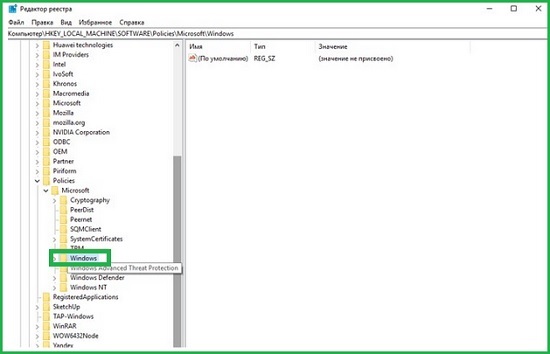 Here, you will need to specify the name for the section being created, which must certainly be “Windows Search”. 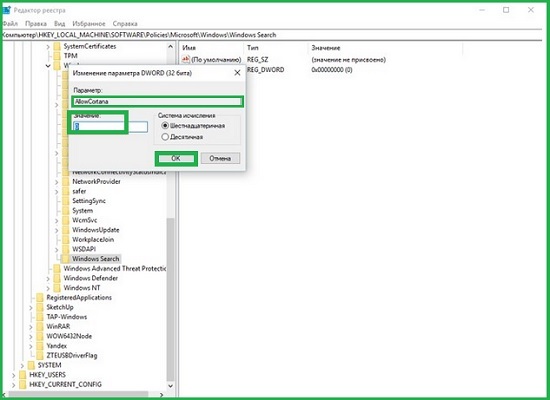 Since the “Windows Search” section has already been created, move the mouse cursor over it and right-click, then, alternately, go from one point to another, namely “Create” and “Parameter DWORD (32-bit)”. The name of the created parameter must be specified and it must be “AllowCortana”. Once again, we hover over this parameter and double-click it with the LMB, after which it is possible to edit the “Value” field, from where we delete everything and write “0”. If the completed action log is correct, then you probably managed to disable Cortana in Windows 10. If, on the other hand, you are mistaken somewhere or have missed something, then there is nothing wrong and everything will have to be rechecked again. So, be careful at the moment when you are setting up the system and do not get distracted by anything to do everything as correctly and correctly as possible.